Microsoft may be taking Nintendo seriously as they are introducing an Avatar feature that lets you create your own... well mii's if you will! 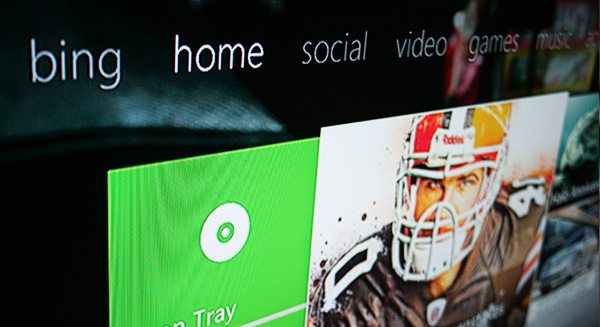 The 360 dashboard will completely be revamped to accompany the new features and your avatars will play a huge role in your identity and presence on XBOX LIVE. Probably one of the most anticipated updates is the party feature where you and 7 of your friends can chill in a lobby. You can all chat and check out each others details and avatars but you can also share pictures saved on your hard drive so that others can view them. You can also invite your party to play online games together such as quizzes and game show type games either as a secluded party or against other people across the world. And you can actually win real prizes! What's more, your old games will now seamlessly incorporate the feature to play as a party and unlock new content such as clothes and accessories for your avatar; so there is no reason as to why you cannot share moments with your friends. There will also be a host of new XBOX LIVE ARCADE hits such as a sequel to the classic Galaga game. South Park, UNO and Portal will also be making new appearances and a lot more are destined to follow. If you are a member of Netflix you will also be able to get instant access to all of your content off it on your console and share it with others. Hmm, it seems like a decent idea. Ive known since E3, but what I dont know is when is the update available? THIS IS DA BEST VID I HAVE SEEN ALL DAY.Now i cant wait for the new update. yeah, that narrows it down. August, September, October, November yeah, that narrows it down.